The Redentore is one of the Venetians’ most treasured festivities, which dates back to 1577 to commemorate the end of the pestilence. For the occasion, the Basilica del Palladio was built on the Giudeccca Island. 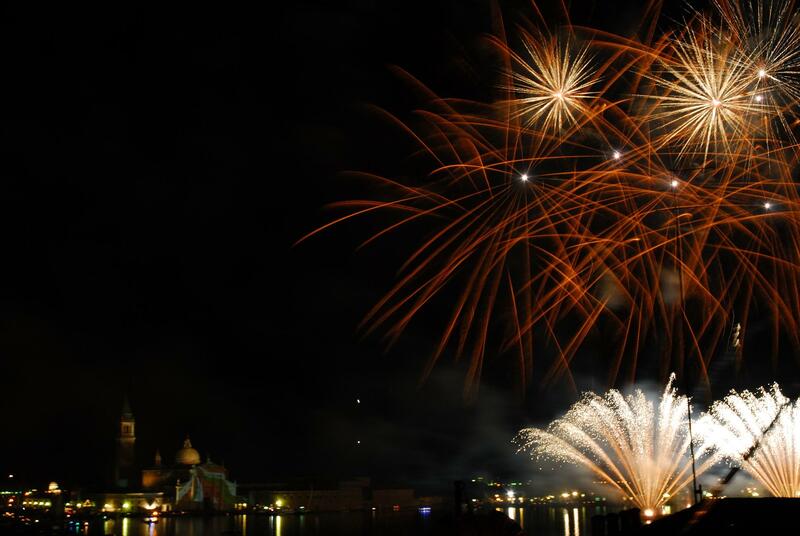 Today the Redeemer Feast has become one of the most important events in Venice thanks to the spectacular fireworks display in the evening that attracts every year thousands of tourists. The Redentore falls on the third Sunday in July. During this day, the Holy Mass is held in the presence of the Patriarch, followed by a religious procession. The procession goes through a huge bridge made out of boats that is 330 meters long. 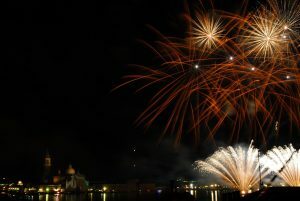 However, the highlight of the event takes place on Saturday night: with the unbeatable backdrop of Saint Mark’s Basin, a play of lights and reflections produce a kaleidoscope of colors with the silhouetted spires, domes and bell towers of the city behind. The Baglioni Hotel Luna, just a few steps from Saint Mark’s Square, offers the unique opportunity to spend an unforgettable evening to experience the Venetian Redeemer Feast. You will have the chance to taste a delightful candlelight dinner at the Canova Restaurant, winner of the “Fogher D’Oro” and “Gambero Rosso” awards. Our Chef will surprise you with the amazing flavors of a traditional Venetian menu especially created for this occasion. Starting from 11.00 pm we will welcome you to the exclusive terrace of the Sansovino Suite, overlooking the Lagoon, where you can enjoy a breath-taking view on the St. Mark’s Basin and San Giorgio Island. We will pamper you with our delicious desserts, the traditional watermelon and the Italian sparkling wine while waiting for the spectacular fireworks, that will take place just in front of you! An exciting evening is waiting for you in the elegant ambience of our Baglioni Hotel Luna to celebrate in the most unforgettable way the Redeemer Feast! Rate: Euro 270,00 per person. The rate includes dinner at the Canova Restaurant (wine and beverages excluded), desserts and Prosecco sparkling wine at the private terrace facing the Lagoon, service, 10% Vat taxes. the reservation within the terms, the whole rate will be charged as penalty. Canova Restaurant opens for dinner from 7.30 pm until 10.30 pm. Access to Sansovino Suite Terrace will be granted starting from 11.00 pm.